Luella Mabbitt and Amer Green made a handsome couple. 23-year-old Luella was an attractive, well-formed young lady—“of the blonde type of beauty and very winning in her ways.” Amer Green, 34-years-old, was tall and good-looking with manly features. But Luella’s father, Peter Mabbitt, did not approve of his daughter’s suiter, so reluctantly, Luella told Amer that they had to break up. She would return his letters and he was to return hers. On August 6, 1886, Amer Green, with his friend William Walker took a buggy ride to the Mabbitt home in Wildcat, Indiana. Her parents saw Luella leave the house with the letters, but she never came back. 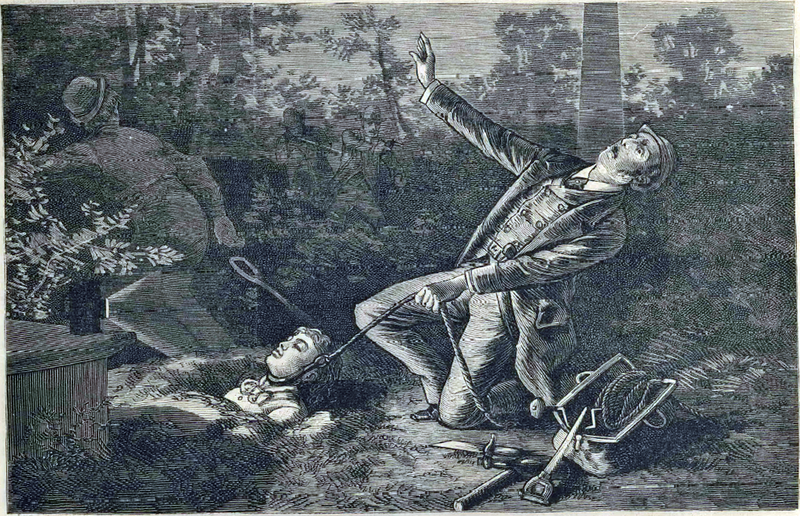 Peter Mabbitt believed that his daughter had been kidnapped by Amer Green. Green and Walker were questioned by authorities, but both denied any knowledge of Luella’s whereabouts. In the days that followed search, parties were organized in the area around Wildcat Creek. Peter Mabbitt hired a private detective and offered a reward of $500 for the apprehension of his daughter’s kidnappers. When it was learned that Amer Green had left town, many believed that he had murdered Luella and had fled to avoid capture. The night of August 12, a group of masked men broke into the home of Amer Green’s mother, put a rope around her neck and demanded that she either divulge the whereabouts of her son or say her prayers. She told them she did not know where Amer was and they could go ahead and pull the rope whenever they were ready. She remained defiant as the men continued to question her. Eventually, they left without doing any further harm or gaining any information. A portion of Louella’s dress was found in the creek near her father’s farm, its torn condition indicated a struggle. While this tended to reinforce the theory that Luella had been murdered, there was a growing belief that she and Amer had eloped and would turn up safe and sound in due time. It was rumored that Amer had secretly appeared at his mother’s house and told her that all was well, and Luella was being well cared for. 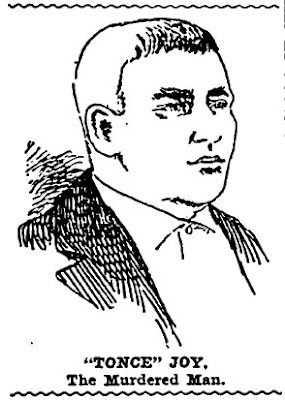 With a lack of anyone else to prosecute, William Walker was tried for his alleged role in the abduction of Luella Mabbitt. As the Delphi Times pointed out, “The trial was much less than a farce.” On the stand, Walker gave a detailed account of his time on the night of Louella’s disappearance and it was corroborated by Luella Mabbitt’s sister Cynthia (who would marry Walker the following year). In addition, it could not be proven that Luella was actually abducted. Walker was found not guilty. 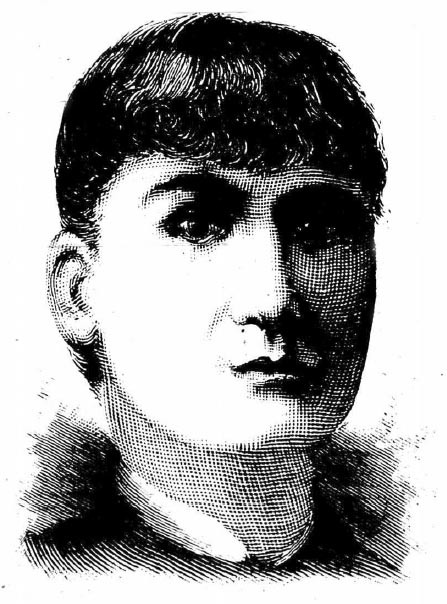 In February 1887, the badly decomposed body of a woman was found in the Wabash River near the mouth of Wildcat Creek. The body was identified as Luella Mabbitt by her mother and sister, but Peter Mabbitt said it was not her and the examining doctor said the body was of a woman in her forties. As the story of the elopement of Luella Mabbitt and Amer Green was gaining acceptance, authorities in southern Indiana remained convinced that Amer Green had murdered her. 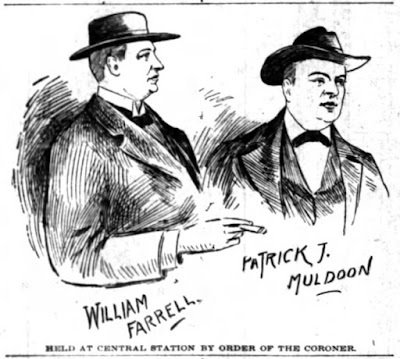 Amer Green and his brother William were known troublemakers, and William Green was already on the lam for murder. William, who was described as “a hideous hunchback” murdered Enos Broombough after a disagreement at a picnic in Young America, Indiana, and managed to escape capture. Detectives and lawmen were searching for both Green boys in Tennessee, Texas, and Missouri. On July 15, 1887, both of the Green brothers were arrested in Fort Worth, Texas by Sheriff J. G. Stanley and brought back to Cass County, Indiana. 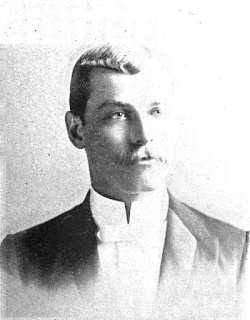 While Amer Green was awaiting trial in Logansport, Indiana, he was visited by Peter Mabbitt. Green assured Mabbitt that he daughter alive and well. He offered no proof, however, saying that all would be made plain at the proper time. Now that Green was captured, the people of Cass County were growing impatient with the legal process. The Circuit Court found an error in the indictment against him and a grand jury was hastily convened to draft a new one. In the meantime, Green’s attorney moved for a change of venue. With no positively identified body and no hard evidence against Green, it was viewed unlikely that he would be found guilty of murder. Around midnight on October 21, 1887, a mob of 200 men surrounded the jail in Delphi, Indiana where Amer Green was being held. After being refused the jail keys by the Sheriff, some of the men, armed with sledgehammers battered in the door. As Green begged for mercy the mob pulled him from his cell and put him in a wagon and take to the woods. The leader of the mob told green he must either produce Luella Mabbitt or die. Green said that Luella was alive and living with a man named Samuel Payne in Fort Worth, Texas; he hadn’t said so before on advice of his attorney. Convinced he was lying, the mob hung him from a tree. It was reported that the body was viewed by thousands of people before being cut down the following morning. The death of Amer Green did not end the mystery of Luella Mabbitt. Some newspapers reported that an innocent man had been lynched, while others sent reporters to Fort Worth but were unable to find anyone named Samuel Payne. On the night following the lynching, a young woman, heavily veiled, stepped off an eastbound train in Delphi, Indiana. She went to the baggage room and asked if her trunk had arrived from Fort Worth. The Mabbits denied that their daughter had returned. The mystery woman was never seen again, but rumors persisted. “[Amer Green],” Logansport Journal, August 12, 1886. “Alleged Kidnapping,” Logansport Pharos Tribune, August 9, 1886. “Amer Green Murdered,” National Police Gazette, November 12, 1887. “City News,” Logansport Pharos Tribune, January 8, 1887. “Died Lying,” Wheeling Register, November 6, 1887. “Found in the Wabash,” The Inter Ocean, February 9, 1887. “Found to Be Not Guilty,” Delphi Times, August 27, 1886. “The Green Boys,” Evening Leader, July 18, 1887. “Innocent but Lynched,” Philadelphia Inquirer, October 24, 1887. “Is Luella Mabbitt Alive? ,” New York Herald, October 25, 1887. “Lou Mabbett's Fate,” Elkhart Daily Review, February 11, 1887. 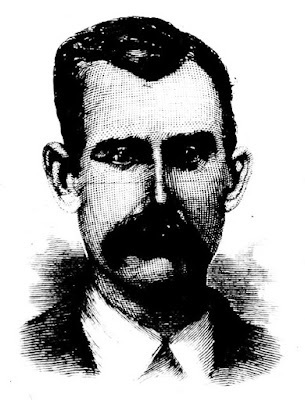 “Lou Mabbit Mystery,” Monmouth Evening Gazette, August 19, 1886. “The Lou Mabbitt Mystery,” The Journal Times, August 18, 1886. “Lou Mabbitt's Disappearance,” Daily Register, August 14, 1886. “The Mabbit Mystery,” The Indianapolis News, August 20, 1886. “Walker Skipped,” Delphi Times, September 3, 1886. M. F. Boyd, the Tax Receiver of Floyd County, Georgia, suspected his wife of infidelity and had a plan to catch her in the act. On October 11, 1892 he told his wife he would be leaving town for the day, but he secretly returned home that afternoon. Mrs. Boyd was from a good family but had been somewhat wild before the marriage; she was said to be “fond of wine and a lark.” That afternoon she lived up to her reputation, lying in bed with Walter Mitchell, owner of a steamboat line in Rome, Georgia. Both were intoxicated with wine and sleeping soundly which was why they did not hear Boyd enter the room. Boyd was disabled and confined to a wheelchair. He had his assistant roll him into the bedroom then told him to leave the room and shut the door behind him. 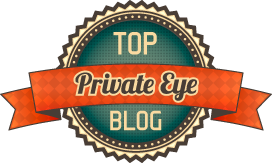 Boyd wheeled himself to the edge of the bed and without warning began to stab Mitchel with a sharp knife. He managed to inflict five wounds to Mitchell’s head and sever an artery in his left arm before waking Mrs. Boyd. Mitchell was taken to his home where he died soon after. M. F. Boyd went into Rome surrendered himself to the sheriff and was released on bond. He also swore out a warrant against his wife for adultery and she was arrested and put in jail. “A Cutting Affray,” News and Observer, October 12, 1892. 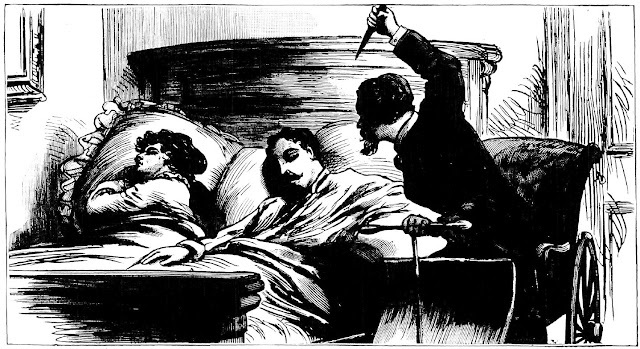 “A Cutting Affray in Georgia,” The Baltimore Sun, October 12, 1892. 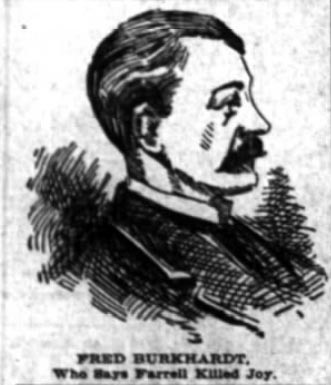 “Wronged Husband,” National Police Gazette, October 29, 1892.